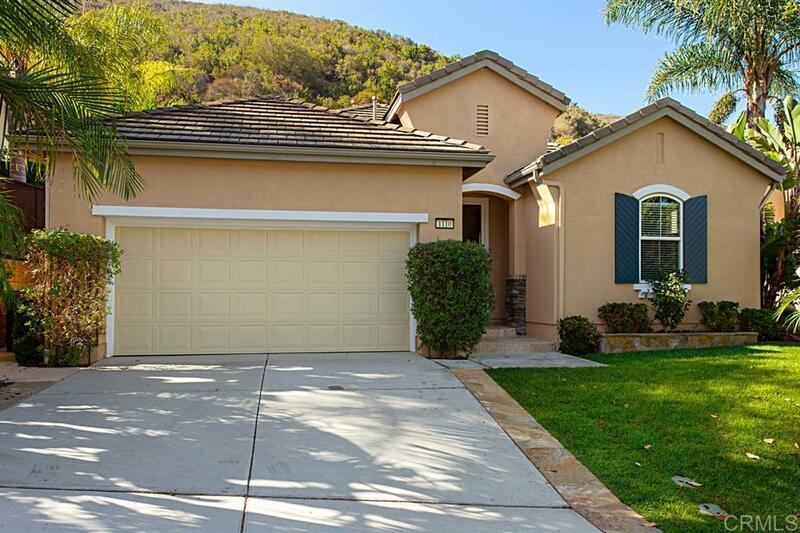 Stunning Single Story home located in the highly sought after gated community of Stone Canyon, This Ranch style home is loaded w/ unique features. Kitchen boastscrisp white cabinetry, granite counters, stainless appls, & opens to family room w/ fireplace. Spacious Master Suite w/ walk-in closet, & views of the private backyard w/ spa, custom BBQ island with grill, fireplace, & lush landscaping. New paint & flooring throughout, This ranch style home provides spacious open floor plan of 2326 sq ft with 4 beds/3 baths, and 2-car garage. Enter through custom door of rich stained hard wood and leaded glass, into the only single story floorplan in Stone Canyon. The chef's kitchen features granite counters, stainless steel appliances, crisp white cabinetry with inset glass, large pantry, center island, eat-at bar, large breakfast area, and flows seamlessly into the family room with custom fireplace, media niche, and large picture windows framing the lush views outside. The spacious master suite boasts walk-in closet, dual sinks/vanities, spa tub, & glass enclosed shower. This south facing backyard fills with sunshine and is loaded with amenities. It is an entertainers' delight with custom designed stone fireplace, built-in BBQ island with grill, sink, burner & eat-at bar. The 6 person jacuzzi offers the perfect end to a long day. This prestigious gated community provides an entrance to miles of trails and views of Discovery Lake.